Looking back on this year, the one word that describes it best for me would be “hype.” Now, I won’t go into great detail about that (in this article), but the hype was most definitely real this year for a lot of releases. Unfortunately, there were a few games this year that I don’t think lived up to their hype. This resulted in a few games I was sure would make the list below, nowhere to be found . Enough about games that aren’t making the list though (Destiny). Let’s get to the good stuff. As I think about all the games I played this year, I was surprised how easy it was to pick 5 games. It is true that a couple of games very well may have made the list had I played them – like Bayonetta 2 or South Park: Stick of Truth – but when buying games for multiple platforms, it’s tough to play everything that grabs your attention. Let’s get to my list! I haven’t played card games for that long. If you want to count collecting Pokemon cards and hardly actually playing the game, then I started years ago, but let’s not count that. I didn’t play Magic the Gathering until just a couple of years ago and I haven’t played it in over 6 months now, mainly because the people I was playing with had years of experience. While I enjoyed the game, I ended up not having much fun. 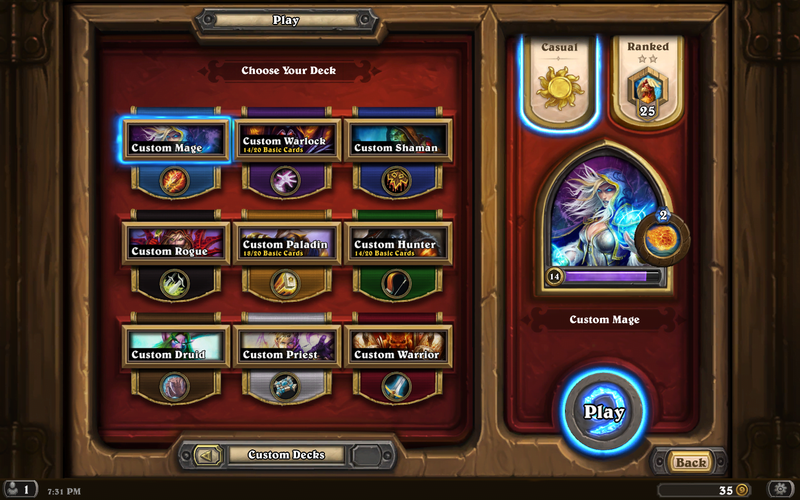 I stayed away from Hearthstone when I first had the chance to play because I still had a sour taste in my mouth, but after hearing friends speak so highly of it, I decided to give it a shot. I feel like Hearthstone is the epitome of “easy to learn, difficult to master.” With only one resource to manage and many cards without any sort of text to read and understand, most people will be able to play a game and at least feel like they understand the game after just a single match while those more competitive will still find the same draw as other trading card games. Oh Smash, how I’ve missed you. I’ve played and purchased every one since the N64 version and I hope they keep on coming. 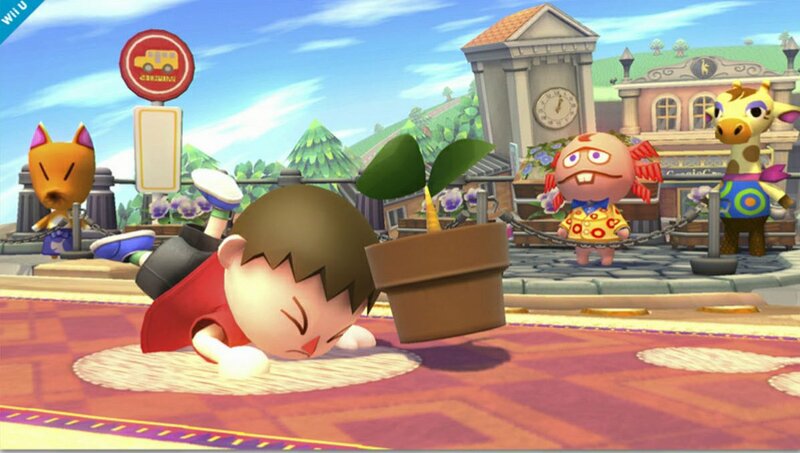 Picking up the 3DS version was a great way to get me back into the series and prepare for the Wii U version. At first I was worried the 3DS version wouldn’t be as fun because of the controller, but I was wrong. Not only did it control well, but it looked gorgeous. When the Wii U version came out, I was actually stunned when I first turned it on. The graphics and colors were sharp and vibrant and playing on a Gamecube controller again was very welcome. The game is obviously a lot more fun when you play with friends, but I’ve had plenty of fun when I play solo as well, especially with the introduction of Amiibos. At first, I thought they were ridiculous and pointless, but I’ve been caught up in the Amiibo fever for sure. Putting my Pikachu Amiibo (named Raichu) into the game and watching it learn from myself or the computer is amazing and a lot of fun. Throw in the party element with a fun new board game mode along with online play and you have a game where hundreds of hours will fly by. I feel bad for everything I said about this game before it came out. In my very wrong mind, this game was going to be nothing more than Assassin’s Creed, but in Middle-earth. I can’t argue that it doesn’t share a few similarities, but it is definitely more than the same game in a different IP. No, this game is so much more. 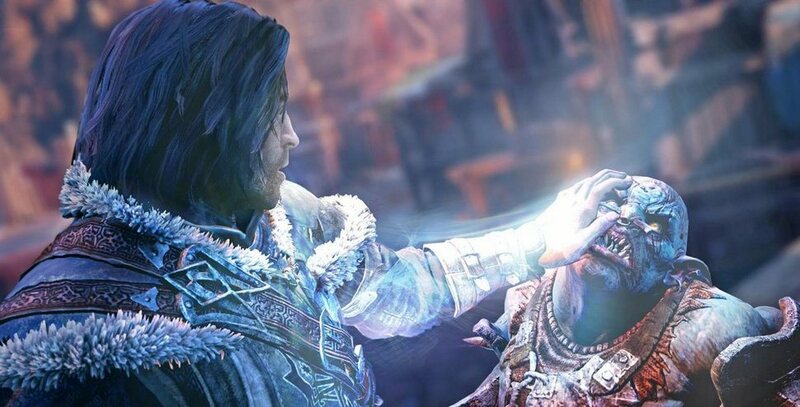 Shadow of Mordor is the first console game of the year that I felt actually did something interesting and new for this generation. For those unaware, this game has a “Nemesis System” and it’s something I’m unaware of in any other game. If you fight a Captain and do not kill them by slicing off their head, it is highly likely that you will encounter this enemy again. When you do, this character will have some sort of dialogue about what happened last time. It may be that they simply say you won’t get so lucky or they may call out their nice new scar courtesy of your battle. They’ll even mock you if you ran away last time because you couldn’t beat him. It’s a system that brings a lot to the feel of the game and the characters you will be fighting to progress or grow stronger. It’s the type of system that makes you wonder what else we’ll be seeing in the next few years and I think it’s a big win for Shadow of Mordor. The fact that this made it so high up on my list when I’m still hours and hours away from beating it should tell you more than enough about this game. It has been a long time since I’ve played a non-competitive game I know I will be putting over 100 hours into without a problem. The story and the way it is presented is phenomenal, the characters are memorable, the choices are hard, and the combat is fun. Although it has a few minor issues here and there, usually involving the visuals in some way, there hasn’t been a single large issue or bug I’ve experienced yet and that says a lot in a game that is so large and has so much going on. I wouldn’t even know where to continue with praises for this game when there are so many good things to say and so many more hours I still have to put in, but I think this is one game that nobody needs convincing to play. Shush. I know it’s two games, but it’s my list. While the first game in the series did come out on the PlayStation Portable in 2010, it released on Vita this year as did its glorious sequel. I always have a hard time explaining this series to people without giving much away and still keeping it interesting, but here it goes. Danganronpa is a visual novel type game with an overarching mystery thrown in. Most of the game will be interacting with other characters and a lot of dialogue, but the story and the mystery itself is it’s main selling point. Twists and turns abound in this series and it would be strange to call it a “fun ride” due to its dark content. Each game is filled with a large cast of very memorable characters, some very dark humor, a lot of death, and a whole bunch of searching for answers. I’d equate it to a very good book that you have way more involvement and investment in. It’s a story I didn’t want to put down and it wasn’t often that I did. 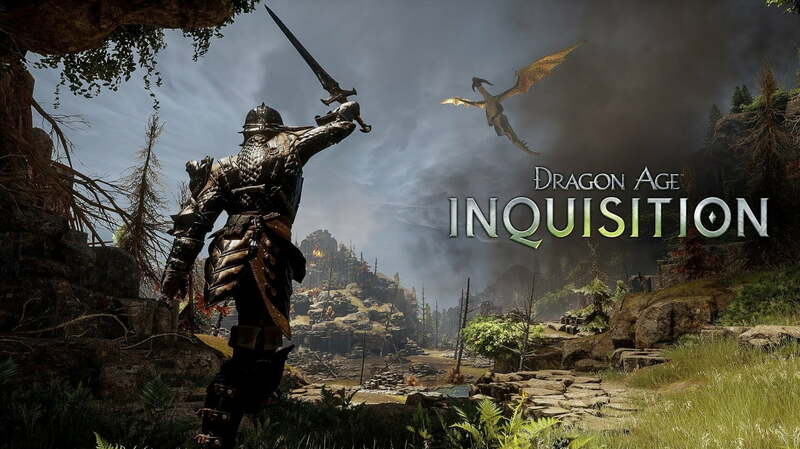 Its unique graphics and music set it apart from other games in the genre and just adds to the reasons this series takes the top spot on my list. So you truly understand why it made it here with such ease, I highly recommend you play it and experience it for yourself. 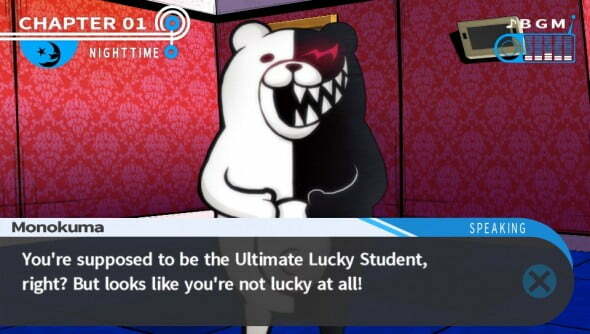 Danganronpa is my favorite game from this year. Well done, Danganronpa truly deserves it.